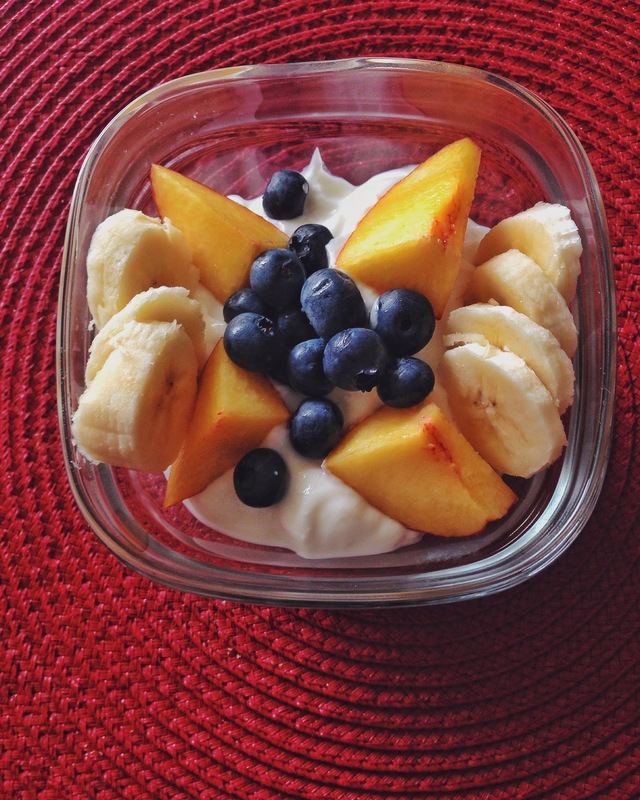 For breakfast or snack: GREEK YOGURT. This one never gets old… yogurt!! I LOVE greek yogurt. There’s so many good things about this that I like. Let’s start off on why it’s better than regular yogurt. First off, Greek yogurt has PROTEIN. With each servings of this delicious breakfast/snack you can receive 12g-20g of protein. Now why is that so important? LISTEN UP PEOPLE. Protein is a key in weightless/ management. Having a good amount of protein in every meal, will never leave you hungry and snacking for more. Eating more protein fills you up than eating or snacking on foods with empty calories. & the list goes on.. Since summer started I’ve taken time to make different kinds of healthy treats. My current muse: sweet potatoes. What better way to get your carbs in for the day BUT in a healthy way? Sweet potatoes come with numerous of health benefits, one of them being rich in fiber. These bad boys help keep your digestive system on track…(HINT: the fiber!!). Let’s not forget how much vitamin A is packed in there as well. Another great factor is that they’re high on antioxidants. That means it can help your body with protection against problems with your immune system or heart. How do you make this delicious snack? 2. Cut your potato in half. 4. One you have those slices, cut them vertically into french fries! 5. Place the fries onto a tray, at this time you can put the olive oil, salt & pepper. Then mix it all around in the tray to make sure it gets spread evenly. 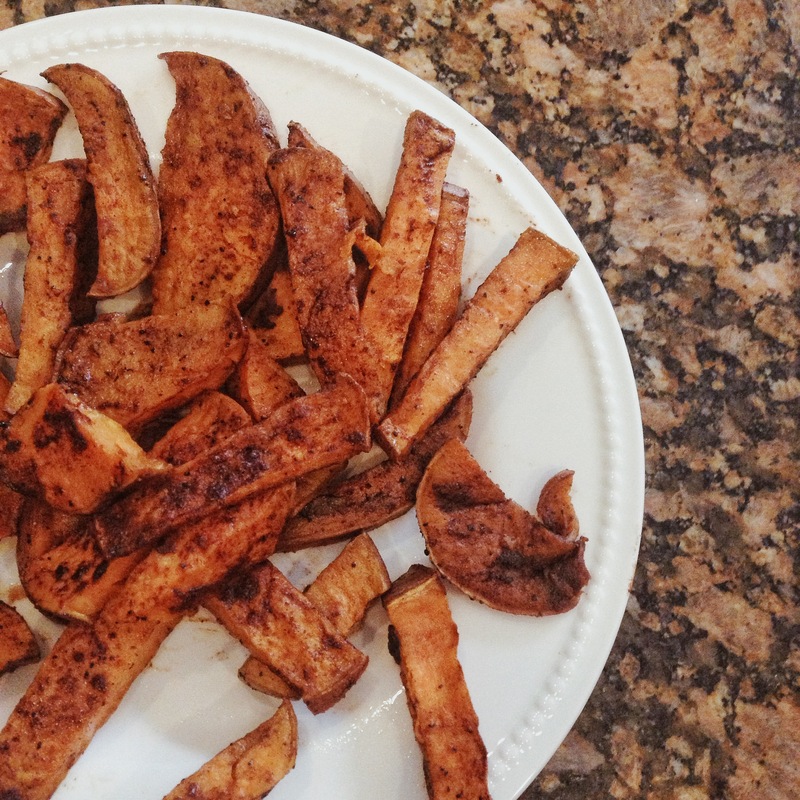 * The sweet potato fries should bake at the temperature of 350 degrees. Put them in for 15 min then take them out, flip them, and 10 more min.